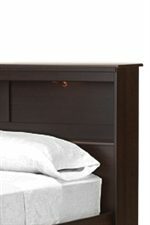 Create the room of your dreams with this Queen Headboard Bed. 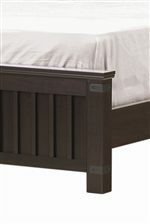 Clean lines and uncomplicated style give this panel bed a relaxed transitional style that will fit into almost any home decor. 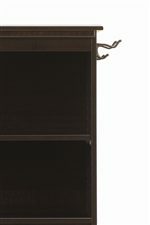 The panel headboard features a vertical panels creating a unique design. 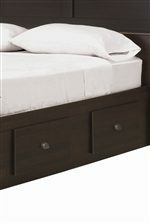 Also available in Queen, Full and King sizes for you to choose from, this bed offers great flexibility and could also be used in a child's room or as a wonderful bed for a teenager to grow into. 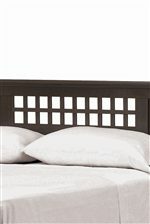 The Bayfield Queen Post Headboard by Lang at AHFA in the area. Product availability may vary. Contact us for the most current availability on this product.